Lawmakers are calling on the House of Representatives to conduct an investigation into reports that accredited airport taxi companies at the Ninoy Aquino International Airport have been overcharging passengers. Cagayan de Oro Representative Rufus Rodriguez and Abante Mindanao Representative Maximo Rodriguez have called on the House Committee on Transportation to summon representatives from the Manila International Airport Authority, Department of Transportation and Communications, and the Land Transportation Franchising and Regulatory Board to resolve the issue. According to Rodriguez, ordinary taxis in Manila charge a flag down rate of P40 plus an additional P3.50 for each additional 300 meters. However, yellow metered airport taxis charge a P70 flag down rate plus P4 for every 300 meters. "These yellow taxis are taking advantage of this and are even charging passengers for fixed rates without using their meters," said Rodriguez. 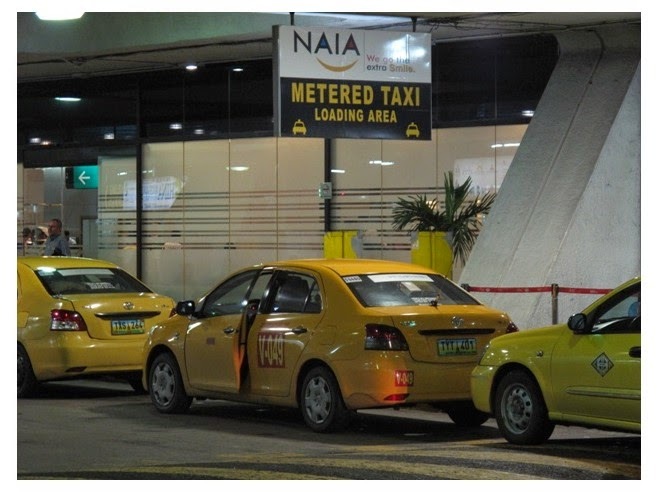 Rodriguez added that passengers are being forced to take these yellow taxis along with their higher rates due to an alleged verbal policy at NAIA Terminal 3 that prevents passengers from flagging down regular cabs at the airport's departure level. Passengers are being advised to line up for the queue of yellow taxis. The lawmakers also said that arriving passengers are being blocked by security personnel and barriers that have been put in place at NAIA Terminal 3 to prevent passengers from exiting through the departure area to look for regular metered taxis. This has resulted in a number of incidents where passengers have claimed being overcharged. In one report, Rodriguez noted that a passenger had been charged P620 from the airport to the Mall of Asia after being presented a laminated piece of paper with fixed rates. "There is a need to address this situation as these unscrupulous taxi drivers that operate in international airports can give the country a bad name as soon as visitors step into the Philippines," said Rodriguez. It's the same old story about these unscrupulous taxi drivers overcharging passengers at NAIA. Remember these operators are well connected and untouchables. As to the bad image it gives to the country, what better way to describe NAIA as "Worst Airport in the World" and that includes taxi services operating at the international airport. I fly into T3 all the time and I don't have problems with the yellow taxis trying to rip me off. The real problem right now is that there are not enough yellow taxis. They are allowed to charge more than standard taxis in order to incentivise them to go to the airport and help with passenger congestion. This is the case at most airports in the world and I have no problem with it. What I DO have a problem with is getting out of the airport interior and seeing a line of people 100 deep and no yellow taxis coming. What's WORSE is I then try to get the standard coupon taxi and they are sold out too (happened once recently at T1 and once at T2). It's then that the REAL vultures come out, the "rental cars". This is 1500 pesos to Makati. But when you are sitting there after a long trip and just want to get to your destination it's gotta be done. It's a pretty confronting and scary sight once you come out of NAIA terminals with all the vultures and hoodlums ready to attack and devour their would be victims-nationals and tourists alike.NAIA is deserving of the title "Worst Airport in the World" which solely belongs to them and only to them. Terminal 1 yellow taxis do overcharge the passengers. When i took the yellow taxi in Terminal 3 going to Makati, it cost me 300 Pesos but when i took yellow taxi in Terminal 1 they charged me 800+ which is absurd (but i did not pay the actual amount because i know that it is a lie). When taking the ordinary taxi from Makati to airport, it cost me less than 200 Pesos. Never had a problem taking the yellow taxis for 4 years until this trip, terminal 3 to QC and he charged me 750 and did not want to turn on the meter. But it was very late at night and I was too tired, just wanted to get home. Very annoying. NAIA is known as one of the worst airports in the world, which is quite justified. A lot of money is being spent on improving T1 and T3 is relatively new, but it is not just about buildings. The problem is the quality of service provided and the lack of management interest in providing good service and stamping out corrupt and dishonest practices. Fixed rate taxis could not flout the pricing rules as they do without someone in authority knowing and allowing it. It could easily be stopped if there was a will to do so but clearly it is to the benefit of someone to let it happen. There were never such problems when Singapore airlines flew into T1. There were always plenty of yellow taxis and even at T2 one rarely had to wait, so what is the problem at T3? This is yet another reason why NAIA justly deserves to be labelled as one of the world's worst airports. Tourists arrive only to be ripped off of have to wait hours for a taxi. 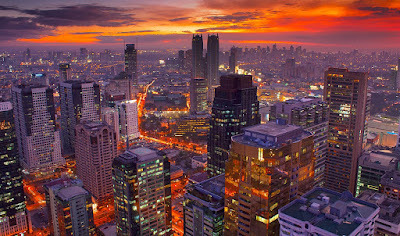 which does little to support the "more fun in the Philippines" slogan and certainly leaves a very bad impression. Sorry to say 2 things: 1st: It is surely not the case that on most airports of te world taxis cost more than inside the city! Honestly: I don't know ANY airport where it is lioke that! Not in Europe, not in Asia! Only in the Philippines! :( And what about the taxis with the big meter? (around 25 x 15 cm) They charge you 10 Peso per 100 meters!!!! My cousin paid around 3000 Peso from the airport to Makati!!!! That's the Philippines and what is doing police? Nothing! We arrived Naia terminal 3 from Davao City going to Tagaytay. We asked the condo owner wat to ride and where. As we line up for taxi going to old Coastal Mall terminal for a bus ride... This plate Nos.ABH-1233 a white taxi w/an old man driver we thought he knows where it is... and old enough for the route .This Taxi has no GPS...He drove Us to the express way going to cavite without telling us NO EXIT. We pay for the 2way toll fee of p24.00each plus our fare p400.00.totalled p450.00.but old coastal mall terminal is but at the corner of pasay only. WOW we are tired and exhausted and we spend that amount for nonsense trip w/the Taxi... i hope a full action w/those taxis that might have not been trained or attended a seminar from LTO. I was ripped off paying 2500 pesos to Makati hotel; after I inquired about the meter he waved off as « airport taxi do not use »; lots of questions about if it was my work travel ..etc I didnt like all the questions but I was tired after long flight. he keptcalling me « sir »repeatedly which I found peculiar . At the hotel I asked the front desk and they alerted me I was vastly over charged. At the Manila information I asked what taxis to use but they were not helpful just told me any cab. Live and learn. It definitely soured my Manila trip. We were charged 800 pesos from terminal 4 to Cubao. Yellow taxi plate number NAL 6978. We were so tired from our 4am arrival at NAIA terminal 4 and we didn't notice the driver didn't turn the meter on. The driver said they only use meter for trips to Pasay and normally charge 800 for trips to Cubao. Very wrong. It would have only cost us around 400 pesos if we took Grab instead. Lesson learned, always make sure the meter is on before leaving the airport.